Large 19th Century limestone home,in the heritage precinct of Fremantle Western Australia. 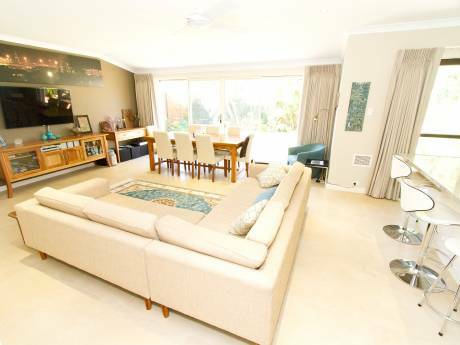 Polished wooden floors, high ceilings, large bedrooms and living room. Open fires in most rooms. Country kitchen with wood stove. Large outdoor, private entertaining area, many trees surround natural stone paving with limestone walls. Front verandah overlooks Fremantle town centre, Indian Ocean, yacht clubs. Public transport outside front door. Easy stroll into the heart of Fremantle and fishing boat harbour. 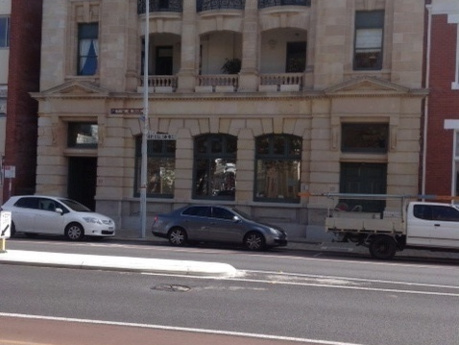 My home is in the heart of Fremantle. Fremantle is a vibrant port city just 30 mins drive by car or public transport from the capital city of Perth. Easy stroll to cafes, restaurants, bars, clubs, art galleries, museums, markets. 5 - 10 easy walking to Fremantle Train Station and Bus Depot. Public transport to Perth and surrounding suburbs outside front door. 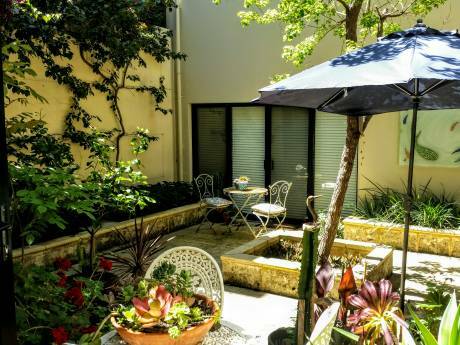 The house is on a main road, but its thick limestone walls provide peace and quiet and its large rear garden and courtyard is perfect for all year round entertaining in Fremantle's fabulous climate. Stroll to the wharf and fisherman's habour to eat, drink or to be entertained by street markets/buskers on the week-ends. Or catch a ferry from Fremantle to beautiful Rottnest Island. A free CAT Bus service 2 minutes from my front door arrives every ten minutes to transport you around the City of Fremantle, to the wharf, yacht clubs, marina, cafe strip, shops, beach, ferries and markets. Beautiful walks along the beach front or along the Swan River Foreshore. I am a middle aged female criminal lawyer with 3 Adult female children, one of whom is also a lawyer, one is a teacher and one is a University student. We have all travelled extensively throughout the world including holidays in Croatia, Turkey, Ireland, United Kingdom, Asia, America, China, India, all of the major cities in Europe and Eastern Europe. My favourite cities are Venice, Istanbul, New York, London and Dublin. I was born in Ireland and lived there until lI was 12 years old before coming to Australia with my family of origin. We all love reading, travelling (of course) wining/dining, board games, informal entertaining with friends and family.